Philadelphia Contractors Insurance – Same Day Quotes & Coverage! When searching for great contractors insurance in Philadelphia or the entire state of Pennsylvania look no further than the Humphries Insurance Group. Our experienced agents will work with you to help you find the coverage you need for a super competitive rate. Call us at 215-646-5633 or click on Contractors Insurance Philadelphia to send us your information for a quote. What Types of Philadelphia Contractors Insurance Do We Offer? 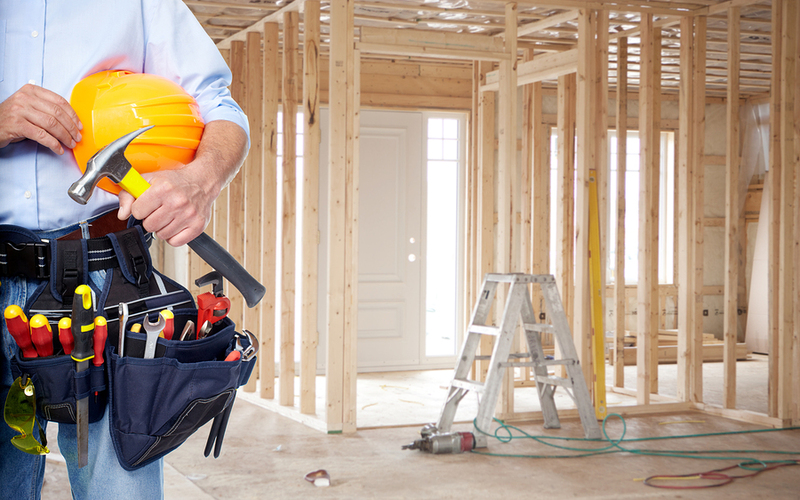 At the Humphries Insurance Group we provide insurance for a wide variety of contractors. Each business is different, so each policy must be too. Insurance can be complicated. So how do you know what coverages you need? One of our qualified agents can discuss your businesses needs and help you find the right policy. How Does Philadelphia Contractors Insurance Protect You? If you own a business you need insurance to protect you. There are many different types of policy options in the coverage you choose may also be influenced by the size and scope of your construction business. Purchasing Philadelphia General Liability Insurance is step one. General Liability insurance can protect you from bodily injury and property damage claims that you may be legally responsible for. In addition the general liability insurance policy will provide defense cost. In other words if you are sued, your insurance company will provide an attorney to you to defend you from the lawsuit. What If You Use Your Personal Vehicle in Your Business? If you have not yet purchased a business car insurance policy you may want to determine if it is necessary. Depending on the scope and size of your business and whether or not your personal automobile insurer allows artisan usage will dictate whether you need a business car insurance policy. To receive a quote for business auto click on Commercial Auto Insurance Philadelphia. If you own a large number of vehicles Philadelphia fleet auto insurance is something we specialize in providing coverage for up to 1000 vehicles. Insurance for Contractors in Philadelphia – Getting the Best Coverage. No matter if you are a general contractor or one that specializes in Roofing, Painting, HVAC, Plumbing, Electrical Work, Pest Control, or Landscaping you need insurance to protect yourself financially. The knowledgeable agents at the Humphries Insurance Group can get you better coverage for a rate you can afford. Call us at 215-646-5633 or click insurance for contractors in Philadelphia to use our convenient online quote system. A common mistake made by insurance shoppers is assuming coverage is identical between insurance companies. You might have the same limits of liability and deductibles with two different insurance companies, yet the claims results can be completely different. That's why it's important to work with our insurance team. We will help you put together an insurance plan to meet your individual needs. Call us today at 215-646-5633 or use our convenient online rate quote system when you click on instant quotes for car or home insurance! Do you know the difference between the HO3 and HO5 Policy Form? The difference in coverage between the two policy forms might mean the difference between a claim being covered or denied on your personal property! The HO5 is a superior policy yet the majority of home insurance policies sold today is the HO3! Call us today at 215-646-5633 or use our convenient online rate quote system when you click on instant quotes for home insurance to learn why the HO5 is better!! There are a variety of different types of business insurance policies available for companies. From General Liability, Business Property Coverage, Commercial Auto, Workers Compensation Insurance, Employers Liability Insurance, Professional Liability Insurance, Commercial Crime Coverage, Inland Marine Coverage, Cyber Liability Insurance, and many more. We at Humphries Insurance can help you choose the coverage most appropriate for your company. Call us today at 215-646-5633.